The full Communication FOCUS Bundle consists of 16 courses bundled into a book, workbook, 800 narrated PowerPoint slides, 800 activity slides, and 260 test questions. In addition, easy to remember quotes and concepts are intertwined with over 400 words defined by their acronyms to help participants develop and apply effective communication skills.62 hours of instruction. The full Communication FOCUS Bundle consists of 16 courses bundled into a book, workbook, 800 narrated PowerPoint slides, 800 activity slides, and 260 test questions. In addition, easy to remember quotes and concepts are intertwined with over 400 words defined by their acronyms to help participants develop and apply effective communication skills. Minimize bullying with our BULLY Activities Book and online BULLY Course for ages 6-96 packed with easy to remember tools and techniques to engage all students, staff, parents and community members. 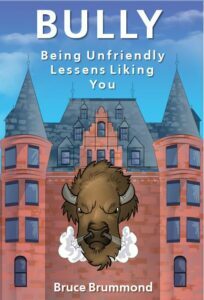 The published activities book: “BULLY – Being Unfriendly Lessens Liking You” contains the same color photos, printed narration and activities contained in the accompanying narrated online BULLY course. The experience is designed to concurrently engage K-12 students, staff, parents and community members with one ten minute lesson per week. Experience 17 online narrated courses and 3 books to help you learn how to get along with yourself and the people around you. Balance your purpose, pleasure, and peace of mind to enable you to refine your personal vision to help you experience personal happiness. Learn to change what needs to be changed by letting go of your past disappointments and discover tools to help you attain your future goals. Enhance your vision of self-worth by redirecting harmful habits and risky behaviors to allow you to reach your potential. Procure tools and techniques to help develop unity, morale, loyalty, and pride to minimize bullying by creating a culture of compassion and cooperation. All 17 online narrated course subscriptions are accessible world-wide on computers and mobile devices for 24 months from 4 IP addresses per day. Turn your stress into strengths by developing positive communication skills to help you successfully empower others by learning to leverage your enhanced leadership skills. Develop a culture of positive attitudes to establish feelings of belonging, being needed and being loved. Our courses help minimize self-abuse, hurtful rumors, gossiping, arguing, bullying and fighting which can lead to tragic violence. Be introduced to hundreds of words defined by their acronyms and unique quotes woven through activities to help individuals and organizations apply effective communication skills. Enjoy learning to apply over 400 positive self-talk words, defined by their acronyms, plus over 160 easy to remember quotes to help you experience a fulfilling and happy life. The textbook contains stories, anecdotes, quotes, and light-hearted moments entwined amidst hundreds of words defined by their acronyms to help readers learn and apply effective communication skills. The exercises in the workbook are crafted to help participants comprehend, discuss, practice and retain the Communication FOCUS course futuristic concepts to help you get along with yourself and the people around you. 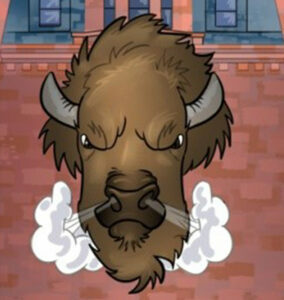 Minimize bullying with our BULLY activities book in addition to our narrated online BULLY Course for ages 6-96 packed with easy to remember tools and techniques to engage all students, staff, parents and community. While listening to you teach this course something came to life inside me. I’ve been to every closed custody prison in the state of Washington. I have put up walls to get by. Now with all fifteen chapters of your workbook implanted in my mind (which by the way seems to have been diagnosed as being extremely bi-polar) I have a new look on life. You’ve given me a new sense of hope. I’ve taken something out of each chapter. People are asking me what I’ve been doing that changed. I show them your books and all I can really say is just that I’ve changed. I’ve got a clearer mind, my attitude is better and I have a strong feeling of achievement even though I’ve just gotten started. I see change in my relationships, I have self-worth! I know that from the feeling that keeps me going each day, and that is helping newcomers and the young men who remind me of a guy I used to know. "The FOCUS course is loaded with tools and techniques that are easy for anyone to apply for self help in their daily lives, without even thinking about it. They make so much sense! Organizations incorporating this material will soon realize a multitude of benefits. Confrontation and bullying will be replaced with compassion and respect! I am super excited to see our community totally immersed in this futuristic approach to human interaction. I unequivocally embrace this engaging program to help participants experience happy lives!" Mr. Brummond's Character Building series provided the tools and support that I was looking for to improve our community's culture. I witnessed two staff members thank Mr. Brummond with tears in their eyes as he connected with them, and helped them with personal issues. We made an investment in our staff and it is paying dividends. I high recommend Mr. Bruce Brummond and his curriculum for organizations that want to improve the work place environment and contribute to your employees self esteem and development." "Superintendent McRae and I want to take this opportunity to thank you for the many times you have come out to Mission Creek Correction Center for Women and presented your very dynamic presentations. Everyone was so upbeat and positive about the information involved in your 'Acronyms Building Character' seminars. So many of your acronyms literally touch the hearts of our offenders and help them work through the many reasons they end up in our correctional system. I believe staff also got a lot of insight, helping us to look at options in working with the offenders. Thank you so much for helping change our culture." "I marvel at the universal utility of the online Focus Course. It is equally viable in either large secular or sacred organizations, as well as self help in home and small group formats. 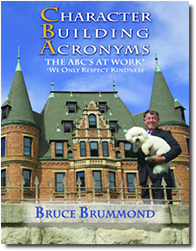 Bruce's energetic speaking style brings to vibrant life the content of his hundreds of 'alpha-acronyms' and inspires his listeners to dig right in!" “As a business man in the local area for over 30 years, and a Mayor/City Council member for over 11 years, I have the opportunity to participate in many forums and workshops, and have heard many expert speakers from around the country. All pale in comparison to the method and the creativity offered by Bruce. He is a very rare find. You will be amazed, as I was. Book now!" "Bruce's professional and personal experiences have given him a wealth of practical ideas to share. His wit and wisdom make him a favorite with audiences and his enthusiasm for his topic is contagious"
"I've known Bruce for 35 years, his Character Construction Company concepts are sound and easily woven into the fabric of any company's culture. Living the concepts Bruce espouses will lift any organization's effectiveness to new levels. I highly recommend it!" 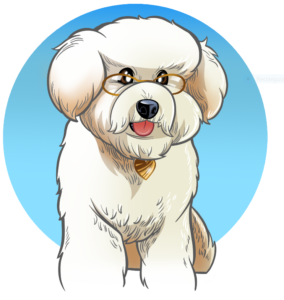 "Character Construction Company provides fun and practical learning for a busy workforce. I've been delivering motivational training for nearly two decades in both the private and public sector and I'm very excited to apply Bruce's principles in my presentations. The knowledge shared is enlightening, inspiring and energizing. When applied, these tools can change your outlook on life!" "Through his life experiences, Bruce has designed this self help program which inspires participants to look within and enjoy the true freedom that genuine relationships can produce... The results will produce a check-up from the neck-up regarding your own Character, Integrity and Ethical Etiquette. Bruce has a charismatic nature in his delivery which draws you in and leaves you challenged to become a better spouse, parent, employee, manager, friend and overall person."